What are you studying Dragonvine? I admittedly am looking at changing professions again, but this time for the police force which I have been interested in for the past few years. If I could go back 10 years in time I would've joined the Army out of high school. Oh Zeelee, I'm answering this 2 years late hahaha. Theology! I hope whatever you decided to do with school went well! Last edited by DragonVine; September 26th, 2017 at 7:00 am. Do I have like a weird six sense or something? I haven't checked this forum in ages and look a wild DV appeared! I recently graduated with my B.A. in anthropology and English about a month ago. Taking a break from school before I go any further. I'm on a job hunt now though so... I am so bored, guys. I miss getting worked to death by school. Duck! If you still pop on from time to time - I hope married life is treating you well. I hope life, in general, is treating you well. I miss all of you. Everyone, please have a happy fall! Last edited by RikuStark; September 28th, 2017 at 7:04 am. Hey hey hey to anyone still around! 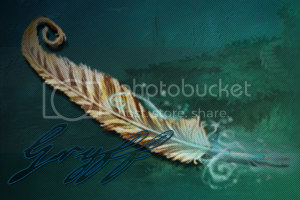 Came across the hundreds of Pottermore sigs I made years ago, got all nostalgic! Hufflepuff: We kill you with smiles and rainbows. The Pottermore Battalion -- Unicorn Army Corp. I just came across this forum after looking at an old email address... Wow it's been some time! This place was a big part of my teen years. If anyone who recognises me is still around, then hey!